The United States is a mixed bag of architectural styles. Many of the details in our homes come from the English, Spanish, and French people who colonized the New World. French creole and cajun cottages are popular colonial types found throughout the vast region of New France in North America. Familiar names of French explorers and missionaries dot the Mississippi River valley — Champlain, Joliet, and Marquette. Our cities bear the names of the French — St. Louis named after Louis IX and New Orleans, called La Nouvelle-Orléans, reminds us of Orléans, the city in France. La Louisianne was the territory claimed by King Louis XIV. Colonialism is baked into the founding of America, and although early American colonial regions excluded the North American lands claimed by France, the French had settlements mostly in what is now the Midwest. The Louisiana Purchase in 1803 also bought French colonialism to the new nations of the United States. Many French Acadians, forced from Canada by the British, moved down the Mississippi River in the mid-1700s and settled in Louisiana. These colonists from Le Grand Dérangement are often called "Cajuns." 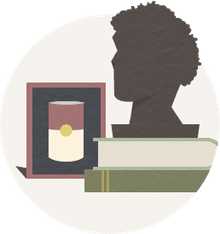 The word creole refers to a people, cuisine, and architecture of mixed race and mixed heritage — Black and white, free and slave, French, German, and Spanish, European and Caribbean (particularly Haiti). The architecture of Louisiana and the Mississippi Valley is often referred to as creole, because it is a mix of styles. It is how the French influenced American architecture. During the early 1700s, French colonists settled in the Mississippi Valley, especially in Louisiana. They came from Canada and the Caribbean. Learning building practices from the West Indies, colonists eventually designed practical dwellings for a territory prone to flooding. The Destrehan Plantation House near New Orleans illustrates the French Creole Colonial style. Charles Paquet, a "free man of color," was the master builder of this house built between 1787 and 1790. Typical of French Colonial architecture, the living quarters are raised above ground level. The Destrehan sits on 10 foot brick piers. A wide hipped roof extends over open, wide porches called "galleries," often with rounded corners. These porches were used as passageway between rooms, as there were often no interior hallways. "French doors" with many small panes of glass were used freely to capture any cool breeze that may arise. The Parlange Plantation in New Roads, Louisiana is a good example of the exterior staircase that accesses the second floor living area. Gallery columns were in proportion to the homeowner's status; slight wooden columns often made way for massive Classical columns as the owners prospered and the style became more neoclassical. Hipped roofs were often massive, allowing attic space to naturally cool a dwelling in a tropical climate. Many cultures mingled in the Mississippi Valley. An eclectic "Creole" architecture evolved, combining building traditions from France, the Caribbean, the West Indies, and other parts of the world. Common to all building was raising the structure above the land. The timber framed slave cottages at Destrehan Plantation were not raised on brick piers like the owner's home, but on wood piers by various methods. Poteaux-sur-sol was a method where posts were attached to a foundation sill. Poteaux-en-terre construction had the posts directly into the earth. Carpenters would fill between the timbers bousillage, a mixture of mud combined with moss and animal hair. Briquette-entre-poteaux was a method of using brick between the posts, as in the St. Louis Cathedral in New Orleans. Acadians who settled in the wetlands of Louisiana picked up some of the building techniques of the French Creole, learning quickly that raising a dwelling above the earth makes sense for many reasons. French terms of carpentry continue to be used in the area of French colonization. In the late 1700s through the mid-1800s, workers built simple one-story "Creole cottages" that resembled homes from the West Indies. The living history museum at Vermilionville in Lafayette, Louisiana offers visitors a real life view of the Acadian, Native American, and Creole people and how they lived from about 1765 to 1890. A Creole cottage from that time was wood frame, square or rectangular in shape, with a hipped or side gable roof. The main roof would extend over the porch or sidewalk and be held in place by thin, gallery piers. Later version had iron cantilevers or braces. Inside, the cottage generally had four adjoining rooms — one room in each corner of the house. Without interior hallways, two front doors were common. Small storage areas were in the rear, one space having stairs to the attic, which might be used for sleeping. A "faubourg" is a suburb in French and Faubourg Marigny is one of the most colorful suburbs of New Orleans. Shortly after the Louisiana Purchase, the colorful Creole farmer Antoine Xavier Bernard Philippe de Marigny de Mandeville subdivided his inherited plantation. Creole families, free people of color, and immigrants built modest homes on the land downstream from New Orleans. In New Orleans, rows of creole cottages were constructed directly on the sidewalk with just one or two steps leading inside. Outside the city, farm workers constructed small plantation homes along similar plans. The French colonists who settled in Louisiana and other parts of the Mississippi Valley borrowed ideas from the Caribbean and the West Indies to design homes for swampy, flood-prone lands. Living quarters were generally on the second story, above the dampness, accessed by exterior stairways, and surrounded by airy, grand verandas. This style house was designed for the subtropical location. The hipped roof is rather French in style, but underneath would be large, empty attic areas where breezes could flow through the dormer windows and keep the lower floors cool. During America's antebellum period before the Civil War, prosperous plantation owners in the Mississippi Valley built stately homes in a variety of architectural styles. Symmetrical and square, these homes often had columns or pillars and balconies. Shown here is St. Joseph Plantation, built by slaves in Vacherie, Louisiana, c. 1830. Combining Greek Revival, French Colonial, and other styles, the grand house has massive brick piers and wide porches that served as passageways between rooms. American architect Henry Hobson Richardson was born at St. Joseph Plantation in 1838. Said to be America's first real architect, Richardson began his life in a home rich in culture and heritage, which no doubt contributed to his success as an architect. 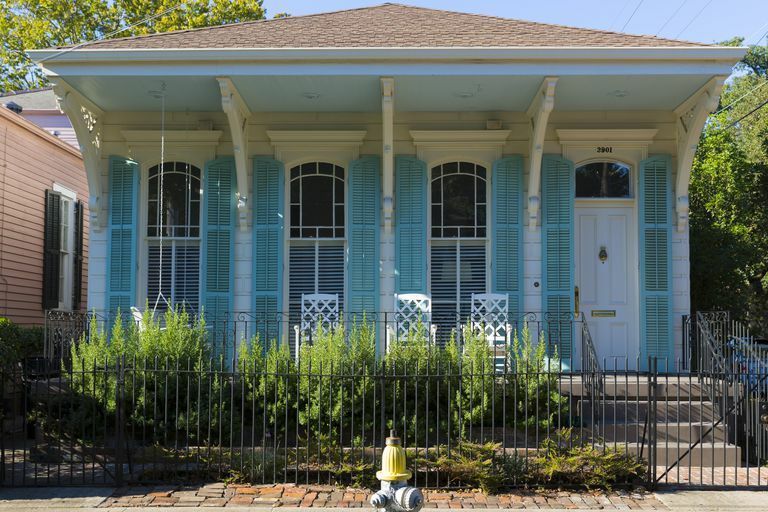 Stroll through the Garden District of New Orleans and other fashionable neighborhoods throughout the Mississippi Valley and you'll find gracious columned homes in a variety of classical styles. During the first half of the nineteenth century, classical ideas blended with practical townhouse design to create space-efficient double gallery houses. These two-story homes sit on brick piers a short distance from the property line. Each level has a covered porch with columns. Shotgun houses have been built since the time of the Civil War. The economical style became popular in many southern towns, especially New Orleans. Shotgun houses are generally no wider than 12 feet (3.5 meters), with rooms arranged in a single row, without hallways. The living room is at the front, with bedrooms and kitchen behind. The house has two doors, one at the front and one at the rear. A long pitched roof provides natural ventilation, as do the two doors. Shotgun homes often have additions in the rear, making them even longer. Like other French creole designs, the shotgun house may rest on stilts to prevent flood damage. Why Are These Houses Called Shotgun? Many theories exist: (1) If you fire a shotgun through the front door, the bullets will fly straight out through the back door; (2) Some shotgun houses were constructed from packing crates that once held shotgun shells; and (3) The word shotgun might come from to-gun, which means place of assembly in an African dialect. Shotgun houses and creole cottages became models for economical, energy-efficient Katrina Cottages designed after Hurricane Katrina devastated so many neighborhoods in New Orleans and the Mississippi Valley in 2005. After the great New Orleans fire of 1788, Creole builders constructed thick-walled townhouses that sat directly on the street or walkway. Creole Townhouses were often of brick or stucco construction, with steep roofs, dormers, and arched openings. During the Victorian era, town homes and apartments in New Orleans were lavished with elaborate wrought iron porches or balconies that extended across the entire second story. Often the lower levels were used for shops, while living quarters were located on the upper level. The wrought iron balconies of New Orleans are a Victorian elaboration on a Spanish idea. Creole blacksmiths, who were often free black men, refined the art, creating elaborate wrought iron pillars and balconies. These strong and beautiful details replaced the wooden pillars used on older Creole buildings. Although we use the term "French Creole" to describe buildings in the French Quarter of New Orleans, the fancy ironwork is not actually French at all. Many cultures since ancient times have used the strong, decorative material. The French fur traders developed settlements along the Mississippi River. Farmers and slaves built grand plantations in the fertile river lands. But the 1734 Roman Catholic convent of the Ursuline nuns may be the oldest surviving example of French colonial architecture. And what does it look like? With a large pediment at the center of its symmetrical facade, the old orphanage and convent has a distinct French neoclassical look, which, it turns out, became a very American look.